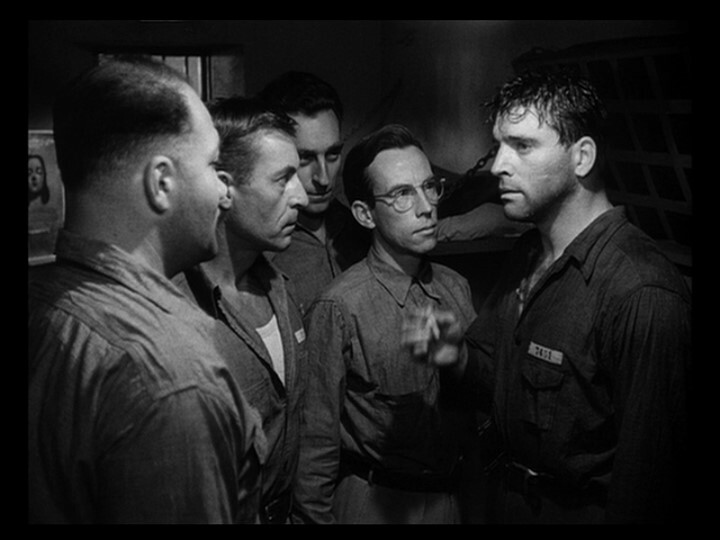 A group of prisoners — led by Burt Lancaster — rebel against a sadistic prison captain (Hume Cronyn) who is hell-bent on making their lives miserable. Prison breaks have been a cinematic mainstay for decades, and this relatively early outing by French director Jules Dassin is regarded by many as one of the best. However, other than featuring hunky-yet-stoic Burt Lancaster in a star-making role, and Hume Cronyn in an atypically sadistic performance, it doesn’t offer anything new to an overly familiar narrative trope. In order to successfully convince audiences to root for Lancaster and his cellmates, the prisoners are all presented as sympathetic and/or wrongly accused, while Cronyn himself is simply a power-tripping Hitler-stand-in (clearly meant to appeal to post-war audiences). 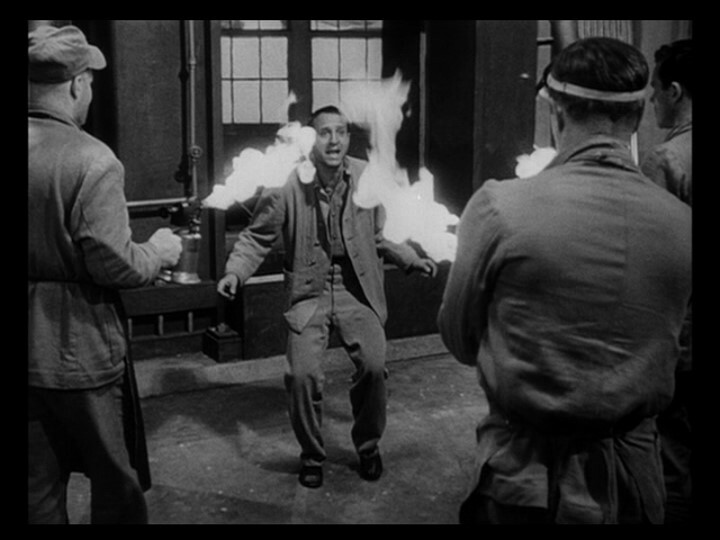 The film’s primary redeeming feature is William Daniels’ atmospheric cinematography, which successfully positions this as a prime example of prison-drama-as-noir. No. Listed as a film with Historical Importance in the back of Peary’s book. Agreed; ultimately not a must. As compensation for the genre’s limits, the story here is opened up by including the backstory (via flashbacks) of four of the prisoners. At least that gets viewers out of the prison – which is not always easy to do in such films. But, again, these details don’t work toward making ‘Brute Force’ a standout.